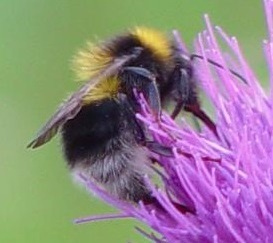 The queen is the only bee capable of producing eggs. 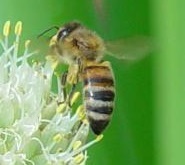 For the honeybee to reproduce its species it is necessary for new queens to be produced to start a new colony. Normally a queen produces a pheromone called queen substance which is passed round the workers and prevents them producing a new queen. However, if the queen becomes old or dies, or if the colony becomes very populous, workers receive too little queen substance. In this case, they will then start to rear new queens. This often happens in late April, May or June. Once a new queen has been reared, the old queen leaves the hive with a proportion of the colony. This is a swarm. 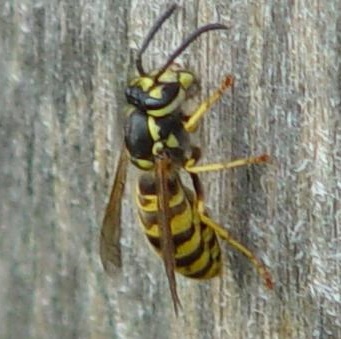 The swarm often clusters on a branch. Scout bees fly out to seek a new home in a hollow tree. Then the swarm will then move to the new home. What to do if you see a swarm? 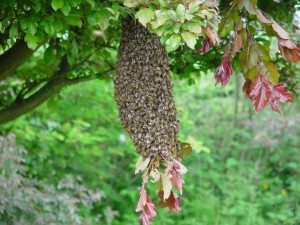 It is unlikely that the swarm will stay in a branch, It will probably find a new home in a few days. To arrange for a swarm to be removed, please contact your local beekeeper. To do this, read the notes below, and then use the contact details at the bottom of this page. Beekeepers will only collect Honey Bee swarms as the travel costs and time involved in dealing with other kinds of insects are prohibitive. Please be as sure as you can that you have found a Honey Bee swarm before getting in touch with a swarm collection coordinators listed below. For reference use the BBKA “Do you have a Swarm?” page. 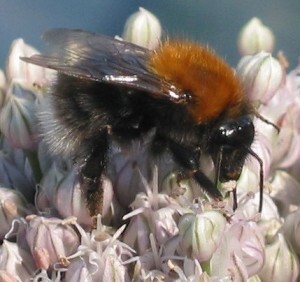 Nests in or on the ground or in small bird boxes are likely to be Bumble Bees or Tree Bees, For information on how to deal with Bumble Bees, Tree Bees and Wasps please see our Advice on Bees Nests page.